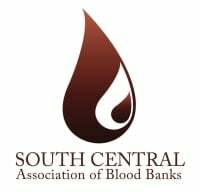 Tap into the newest group of Blood Bankers. Your PASS Sponsorship give you exposure to those looking to further their career in the Blood Banking Industry. -Sponsor/logo recognition on all marketing for the PASS Blood Bank Exam Review (website listing, marketing e-blast, marketing flyers, on-site presentation). We would be happy to work with you to customize a sponsorship package to meet your needs. Contact Ashley at [email protected] for more information.